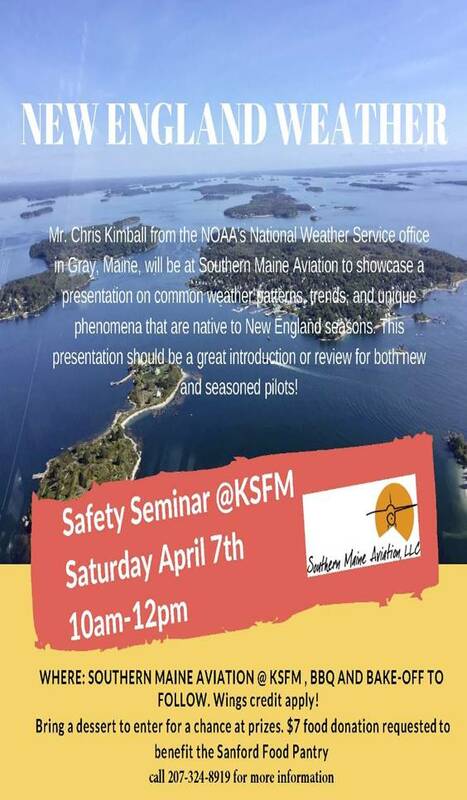 Southern Maine Aviation at the Sanford Seacoast Regional Airport is hosting a weather seminar this weekend. This information will be New England specific. Judging flyable weather contributes immensely to our enjoyment and the safety of powered paragliding. I highly recommend attending if you can find the time. It’s this upcoming Saturday morning.